Manual therapy sessions to keep you moving, pain free and able to enjoy life to its fullest! Don't live with the pain, fix the problem. Established to help treat individuals with either new or on-going pain, our belief is that you should not have to ‘live with’ pain, covering or numbing it with 'pain-killers', when there's ways to identify the root causes of those pains and to help eliminate the problem and assist the body to heal. We provide treatment for musculoskeletal problems without the need for medical appointments, and we will always recommend referral to your GP if this is required. Otley Osteopaths provide a professional, safe and excellent health care service. Before any treatments are carried out, all the options will be explained, and you can ask any questions you may have. As you don’t need a referral from your doctor to see an osteopath, you will typically be able to see an osteopath without the long waiting times that can often occur with other treatment options. Osteopathy uses physical techniques on the soft tissues and bones to help the body heal and function properly, covering a variety of conditions including neck or back pain, joint or muscular pain, sports injuries, recurring headaches and more. 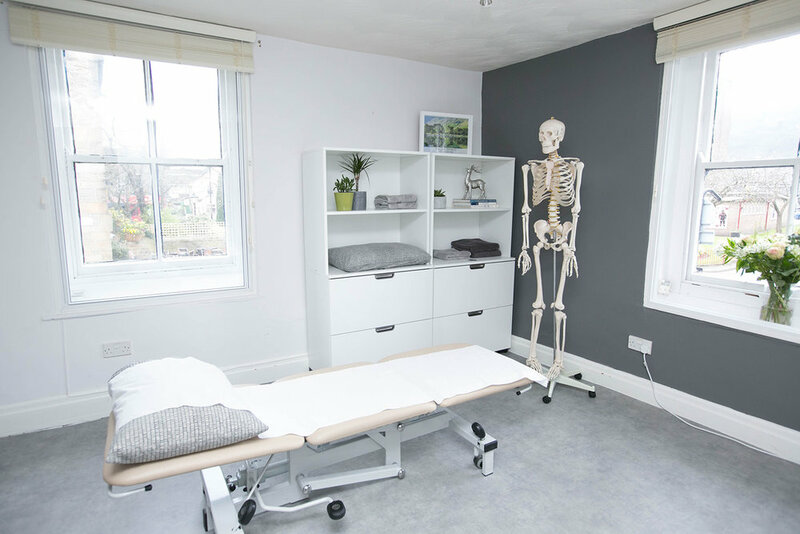 Otley Osteopaths was established to help treat individuals with either new or on-going pain. Our belief is that you should not have to ‘live with’ pain when there are often ways to identify the root causes of that pain and to help the body heal itself. We provide treatment for musculoskeletal problems without the need for scans or lengthy waiting times for medical appointments. If there are any concerning issues, we will always recommend referral to your GP as required.